As I continue to live in China, I expand my recipes and experiment with anything and everything Texan. I happened upon a great website of a Texan expat living in New York. The site lists all sorts of Texas favorites. Click here to visit the site. Another great Texas favorite I recently discovered, or finally realized, that we had all the ingredients to make Chicken Fried Steak. So I got out the flour, tenderized the meat, and fried away. The meal was so great, I repeated the meal for M'Lynn's birthday and cooked it for our whole team! 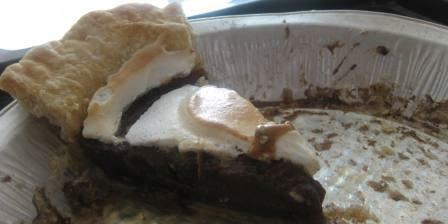 I also whipped up 2 chocolate pies to pass around at the party. The pies are so good, I'll probably have to cook another one (or two) for my own birthday next month!